On Easter Monday, April 24, 1916, a group of Irish nationalists proclaimed the establishment of the Irish Republic and, along with some 1,600 followers, staged a rebellion against the British government in Ireland. A 1916 Memorial dedicated to the men and women of Lusk and the North County who participated in the Easter Rising in 1916 was erected on St Patrick’s Day 2018. The names of all the men and women volunteers from this time are listed on a special information plaque at the Memorial, which also features the 1916 Proclamation, carved in Irish limestone. The Proclamation represents the spirit and values of 1916 volunteers as they put in place the stepping stones for Ireland’s future independence. The simple and straight architectural structure of the memorial is divided in three close standing walls, which progressively lower from the left to the right following the circular basic structure of the site. The required lighting scheme for these walls was plain but effective. 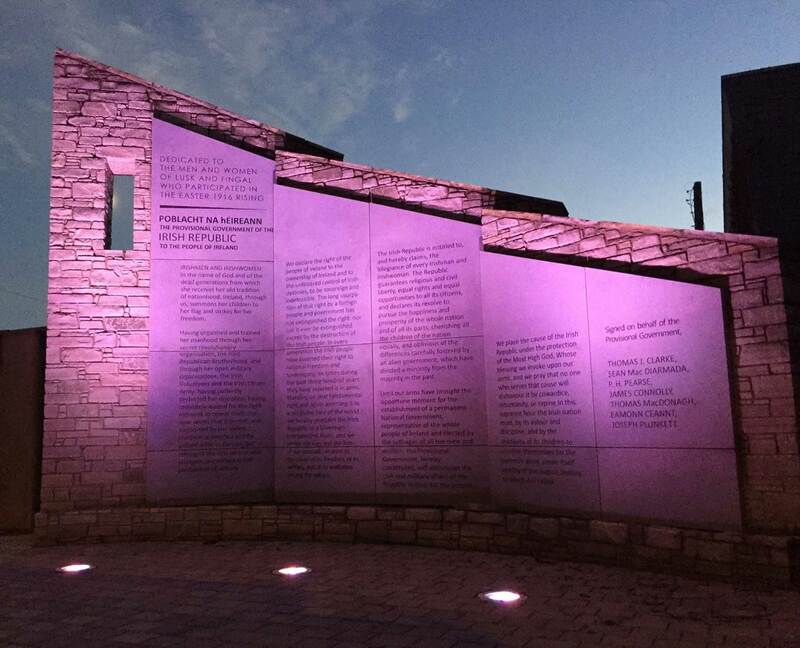 Now, it enhances in the Memorial in dynamic changing colours while delivering an aura of respect and admiration for the courage of the people who fought and died for their ideals.  Here at Enlighten we supported the local designers specifying and delivering the right fixtures for this kind of illumination. Three units of Dune MK2 in RGBW colour configuration were embedded in the memorial pavement in front of each wall. DUNE MK2 RGBW is a highly performing LED colour changer specifically designed for exterior recessed applications. Newly-restyled, DUNE MK2 RGBW offers a wide selection of optics groups available, ranging from aperture spot to elliptical wide distribution lenses. A 2000 Kg deadweight load capacity makes this IP67-rated colour changer suitable for ground mounting applications even in vehicled areas. This versatile fixture also allows beam positioning through 10° moving capability.